Taste test: These kettle-style chips were very crunchy and quite tasty, as they won many fans around the chip bowl. 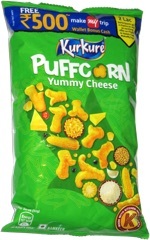 The chips had small green pieces of parsley on them. 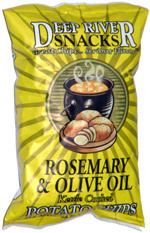 The rosemary and olive oil flavor worked very well with the crunch of the kettle-style chip. Smell test: Nice mild aroma, I guess like rosemary.